The idea behind these holidays is that you ride every day. 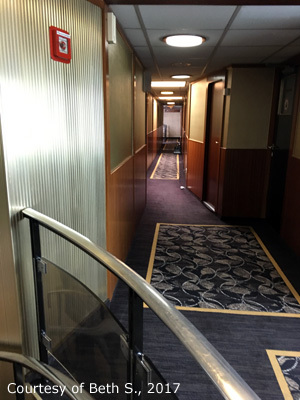 Alternatively, you are able to skip the cycling and stay on board. Cyclists leave the barge behind in the morning and meet the barge again in the afternoon at the next port. By the end of the week you will have cycled several bits of the Danube cycle path. The cycling itself is self-guided. 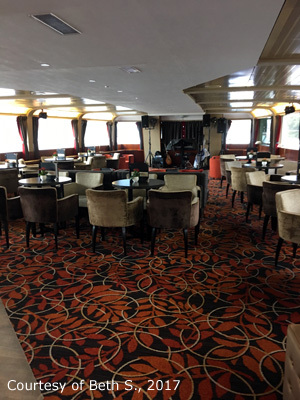 At least on two of the ships, a cycling guide can be booked. If you prefer having a cycling guide, ask before booking. Maps are provided and rental bicycles are offered. A half-board meal plan is usually part of your package. If you play with the idea of going on one of these cruises above, and if you are a group of four or more cyclists, feel free to contact us. We will bargain a special offer for you and your friends. Simply klick the button below and fill in the form that appears. 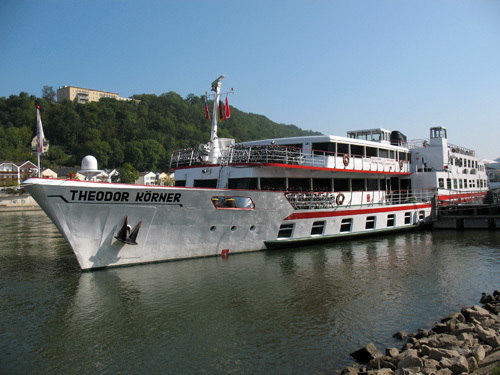 Mandatory field Name of the ship:* Please select MS Theodor Körner MS Carissima MS Normandie MS Primadonna MS Arlene II Don't know yet. When do you consider to go? What month? Or even the specific departure date? Mandatory field Security question:* Please add 5 and 7. 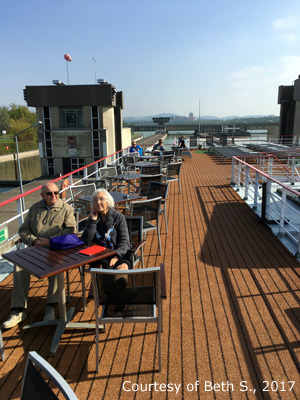 German and English is spoken on all the barges as you will find guests of several nationalities. 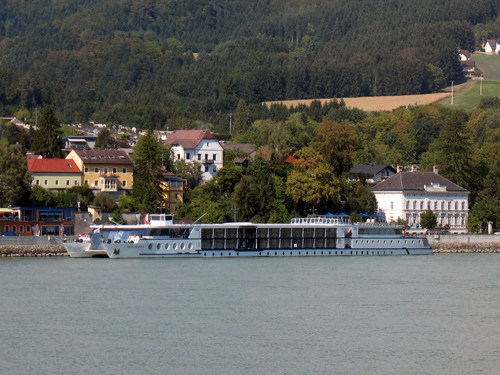 All barges depart and end in (or a bit outside) Passau. Passau is available by train. There are various options to park your car. And don't forget bringing ear plugs. Some cabins are closer to the engine than others. Alternatively, consider taking a hotel-based guided cycle tour. The number of cyclists you travel with is significantly smaller, you cycle downstream every day and you dine at local restaurants. One tour operator even offers unrestricted access to the restaurants' full menues: Cycling Passau to Vienna (by Mercurio Bike Travel). We are always looking for pictures of the above mentioned barges, particularly from inside and of the bicycles provided. 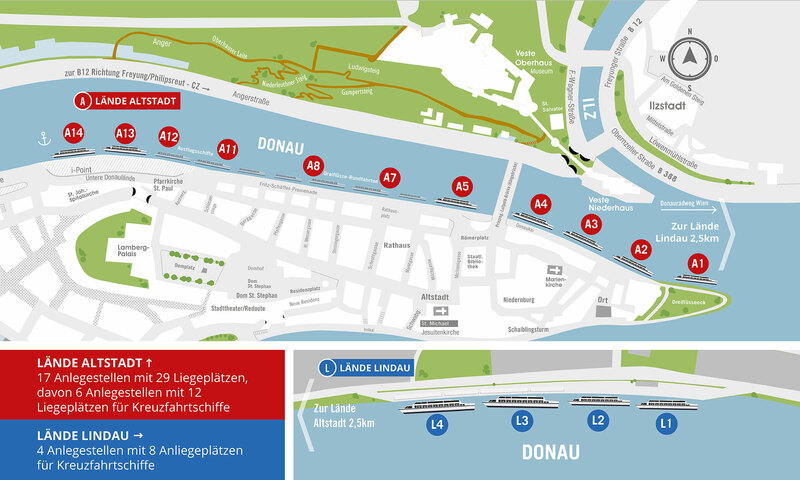 In case you have been on one of those bike-and-barge tours, feel free to send pictures to barges [at] danube-cycle-path . com. We are also keen on receiving feedback about your bike tour. How was the cycling? What did you like most? 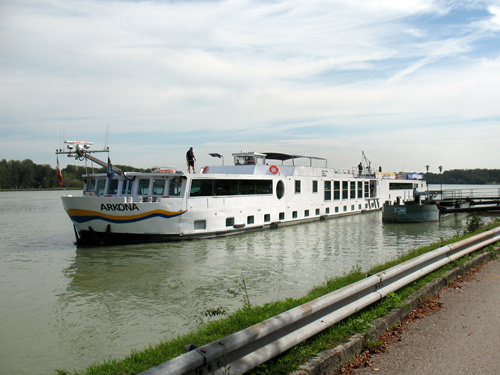 What should future cyclists be aware of when going on a Danube bike-and-barge tour? Thank you very much in advance. 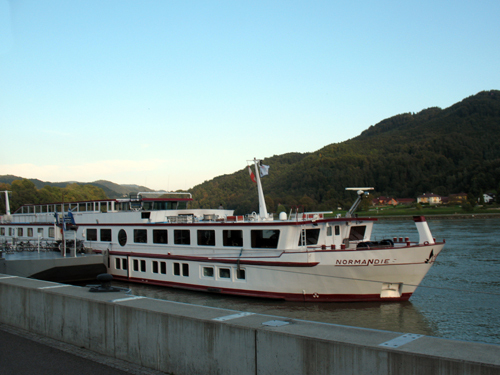 Port of embarkation for all above bike-and-barge tours is Passau. Spending an extra night here certainly adds to the enjoyment of your vacation. Passau is a very picturesque and historically interesting city at the confluence of three rivers. 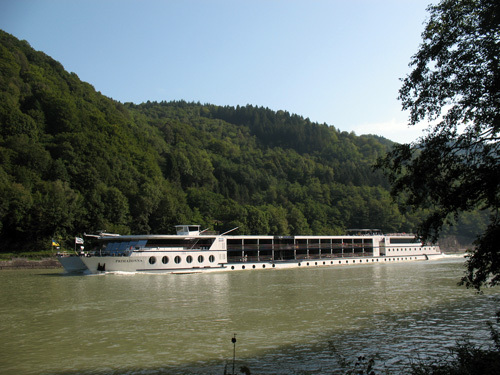 As most of the barges welcome their guests at a point outside Passau (about 1.5 miles downstream), we recommend picking a hotel that is situated between Passau train station and the confluence point. 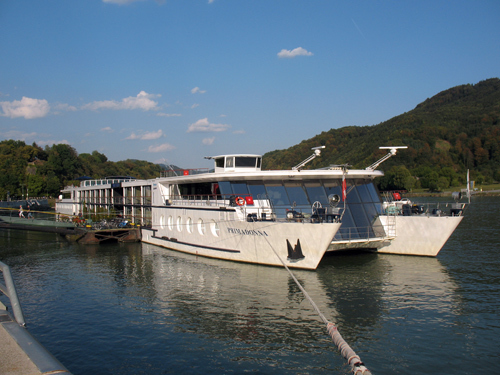 Take a taxi to travel between Passau and your barge. 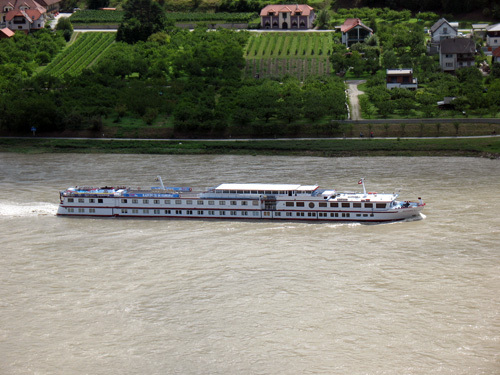 We list suitable hotels on <Hotels between Passau and Vienna>.